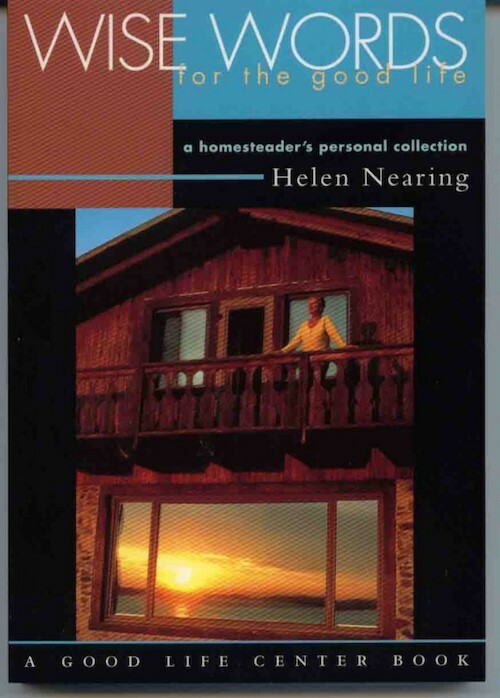 View cart “Wise Words for the Good Life: a Homesteader’s Personal Collection” has been added to your cart. by Scott Nearing Edited by Greg Joly. Afterword by Greg Joly and Andrew Donaldson. (Bull Thistle Press, 2006). Greg Joly typeset and printed the red cover on his foot-powered letterpress. The pamphlet is hand-stitched. Pamphlet: 48 pp., hand bound. Scott wrote Oil and the Germs of War in 1923, just a few years after the First World War. Petroleum fuels had played a significant role in warfare for the first time, with the U.S. using a wide variety of gasoline-driven war machines against (and alongside) the largely coal-fired trains and ships of old Europe. It was clear by 1919 that the future of war would be petroleum powered and mechanized. By extension, the outcome of future wars (excepting guerrilla conflicts) would be determined by who controlled the oil rich areas of the world. Scott examines the rush of American and British companies to exert influence over oil rich countries in the post WW1 period, accurately predicting that oil will indeed be one of the germs that lead to WW2. 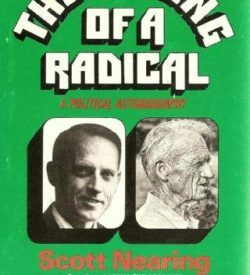 Scott famously wrote that “war is organized mass murder”. War is destruction, not only of lives but of human labor and natural resources. Scott believed in a world where none would want, where equity for all would be the rule rather than the exception. In a world where creating is valued over destroying, war simply has no place. While the events in Oil and the Germs of War are almost a century old, the theme-who controls the oil has the power-remains up to date. As I write this, the U.S. is digging in to Iraq, building a huge, fortified embassy in order to maintain a presence in the Middle East, home to the worlds largest oil reserves. Following Scott’s original text is a new afterward, written by Greg Joly and Andrew Donaldson in the spring of 2006, about the current state of affairs in the world of oil. Focused primarily on the theory of Peak Oil and it’s ramifications, the afterward includes a bibliography of current resources to help the reader learn more about the realities of the world’s oil reserves. 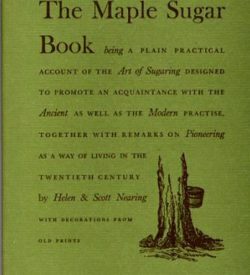 There is also a bibliography of articles current to the time Scott wrote in 1923.